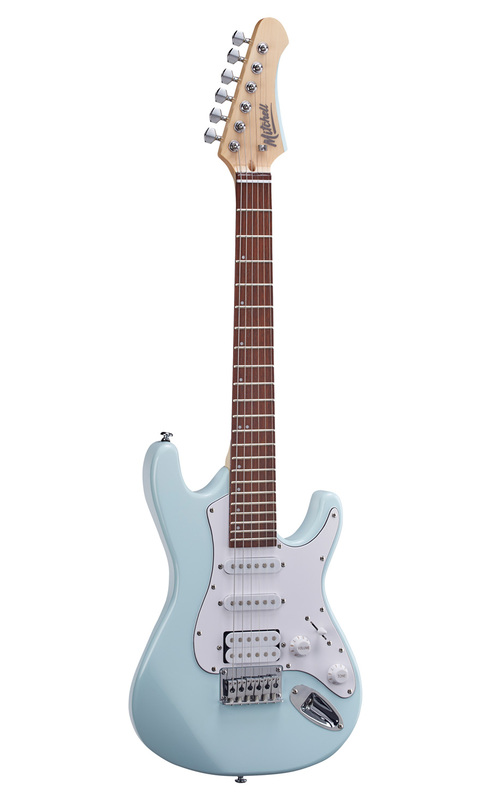 Mitchell has expanded its line of high-performance “mini” electric guitars by introducing four new short-scale instruments, including the Mitchell MS100CS, MS100VC, TD100OR, and TD100PB. Each of the four models features a slim-taper neck profile that will feel instantly comfortable in any player’s hands and an ultra-carve heel joint that provides easy access to the upper frets. MS100 electric guitars are a fresh take on the single-cutaway guitar, with an adjustable, TOM-style bridge, back-angled headstock, and a string-through body design for solid tuning stability and outstanding resonance. These guitars are terrific for rock, metal, blues, and jazz. Excellent choices for the beginner, as well as for experienced players who prefer a short neck, the MS100CS and MS100VC are traditional archtop guitars with 22 medium-jumbo frets on a Jatoba tonewood fretboard. Their versatile pickup configuration comprises two humbuckers and a 3-position pickup selector switch. Both models are equipped with a stud-mount, adjustable bridge, sealed gear tuners for precise tuning with years of trouble-free operation, and master volume and tone controls. 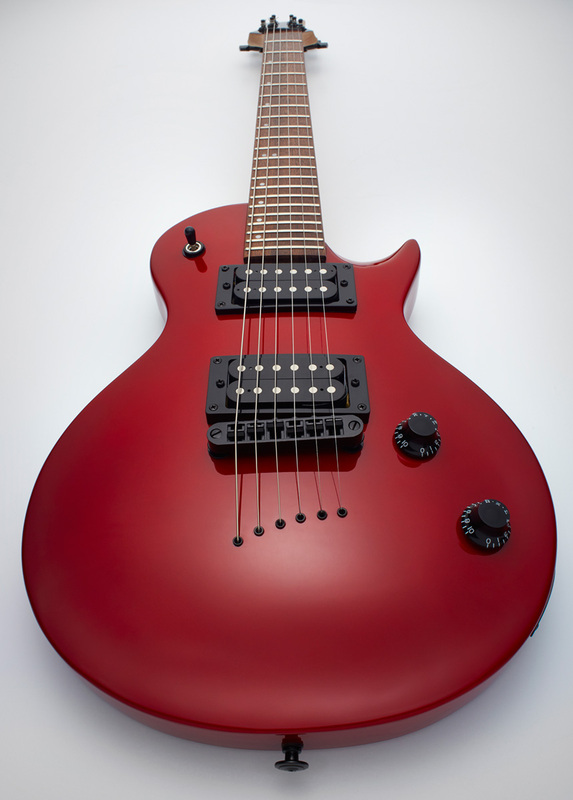 The MS100CS offers a charcoal satin finish, while the MS100VS has a vintage cherry finish. Mitchell TD100 instruments are a modern take on the traditional double cutaway electric guitar and are a great choice for blues and rock traditionalists. Like the MS100CS and MS100VC, the new Mitchell TD100OR, and TD100PB have 22 medium-jumbo frets on a 22.5-inch scale-length, Jatoba tonewood fretboard and offer sealed gear tuners and master volume and tone controls. The TD100OR and TD100PB pickup configuration includes one humbucker and two single-coil pickups, which combine with a five-way pickup selector switch to enable these guitars to cover a wide variety of musical genres and styles. A hard-tail bridge, solid bridge saddles, and through-body string loading provide solid tuning stability and outstanding resonance. Both guitars have a dual-action truss rod and attractive chrome hardware. The TD100OR sports an orange finish, while the TD100PB is powder blue. Before delivery to dealers, all Mitchell electric guitars receive a complete stateside setup and quality-control inspection to ensure exceptional playability. The new Mitchell Minis will have a street price of $119.99. Get your hands on the new Mitchell MS100CS, MS100VC, TD100OR, and TD100PB short-scale electrics at Guitar Center or Musician’s Friend or visit www.mitchellguitars.com for more information.